Popular reggae artiste Ras Kimono on Thursday urged Nigerian youths to embrace reggae music and use it to express their thoughts on happenings in the society. Kimono’s debut reggae album, “Under Pressure’’ led by the Single “Rum-Bar Stylee” hit the Nigerian music scene in 1989. The musician said that reggae music could be used as a tool to educate the masses about existing problems and provide solutions on how to tackle those problems. “People do not want to go into reggae music again because that type of music is usually for freedom fighting and correcting the ills of the society. “Many of our youths seem to be scared to get on the wrong side of the government and therefore avoid singing reggae. “Instead they have turned to hip-hop, rap and the likes. 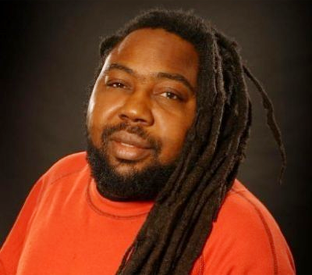 “Reggae is mainly for those artistes who are not afraid to speak the truth,” he said. Kimono said that it was only musicians that had great passion for liberation and creating equity in the society that usually embraced reggae as a genre of music to pass their messages. “Reggae artistes sometimes have their songs banned from playing on air because of the undisguised quality of truth reggae allows. “However, if you remain focused and believe in what you are doing, you will remain true to your passion and the whole world will know your name,” he said. The reggae musician observed that present day youths went into music because of the money, women and glamour in the industry. He, therefore, advised budding musicians to be passionate about taking up music as a profession and shunning the immediate interest in becoming a celebrity.